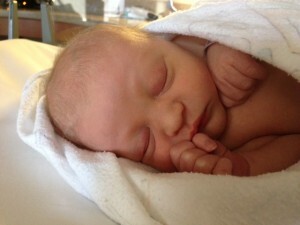 Creative Surfaces would like to announce and welcome little Maveryck. Born Thursday, October 24th weighing in at 6 lb 5 oz., and 18.5″ long. Proud parents are Amy and Kelly Kruetzfeldt. Amy has been out of the office since the arrival of Maveryck; however will be returning to the Stone Center in early December. Congratulations Amy and Kelly! Congrats, Amy! He’s such a cutie!